Given the weather we have had rceently this outfit seems a bit out of place, but it was about right for one night last week. I still can't get enough of this elephant blazer; so much so that when the shopping ban is over I think I am going to go and see if there are any others in store in the same shape, as I find it really easy to wear! 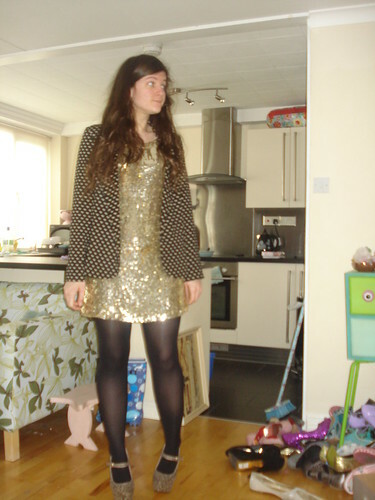 Char you look amazing! Get those legs, wooo! Wow Char, you look smoking! 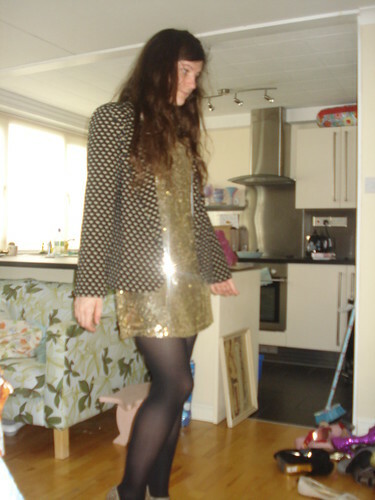 Loving the dress Char, you can't beat a bit os sparkle! I've been wanting that blazer for ages. I cannot find it anywhere except eBay (for £27), all primark seems to have sold out. It looks amazing with that dress. 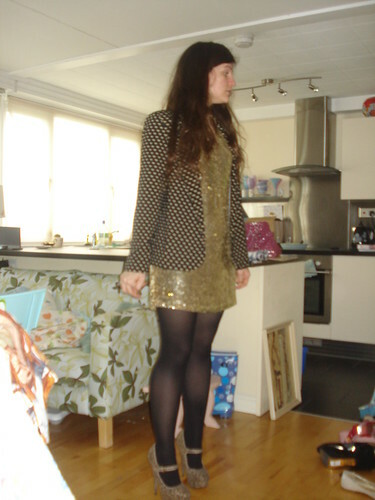 You look fab in this outfit, love the dress and jacket!